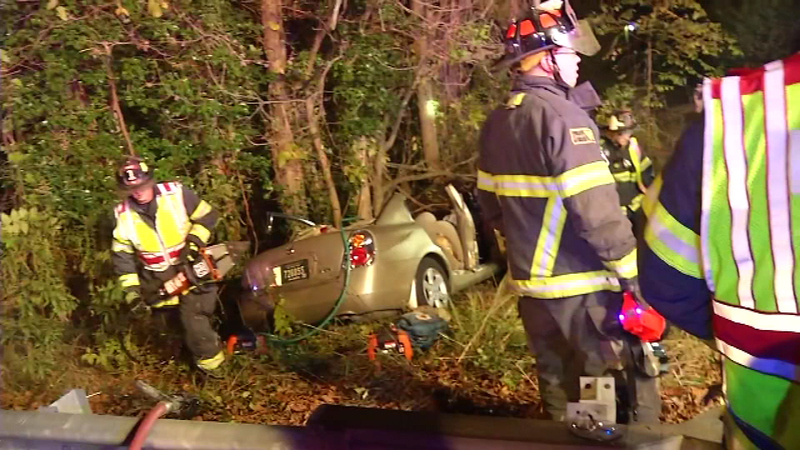 October 29, 2016 - A woman is in critical condition after her car swerved off the road, and slammed into several trees in Newark, Delaware. NEWARK, Del. 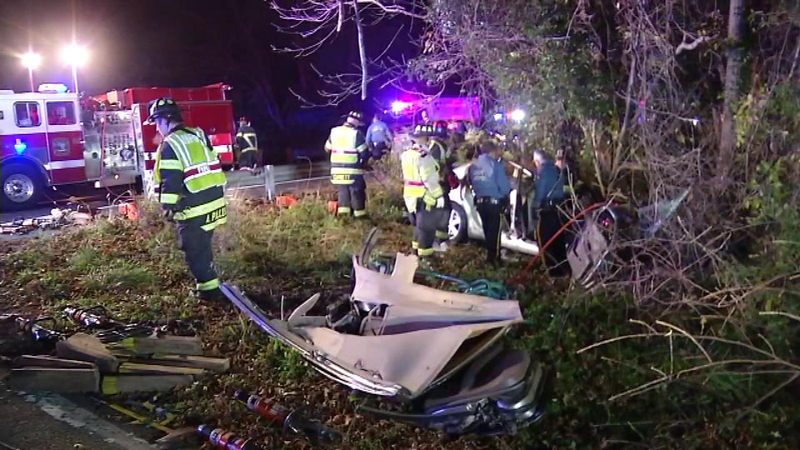 (WPVI) -- A woman is in critical condition after her car swerved off the road, and slammed into several trees in Newark, Delaware. 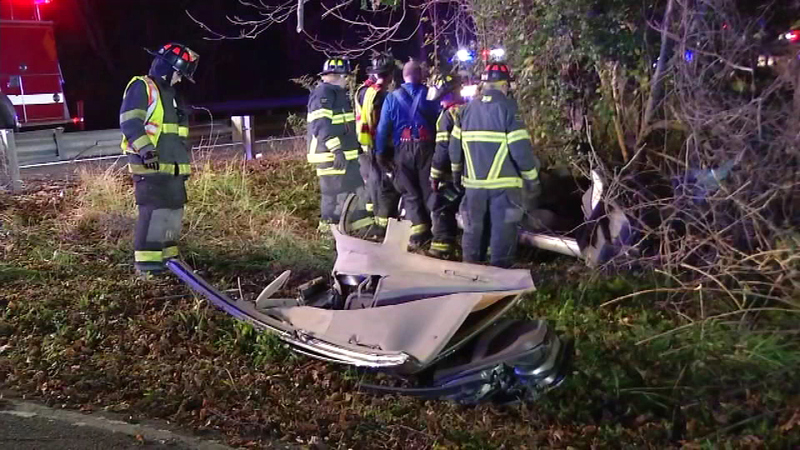 The accident happened around 12:30 a.m. Saturday at the intersection of Old Redmill and Redmill roads. 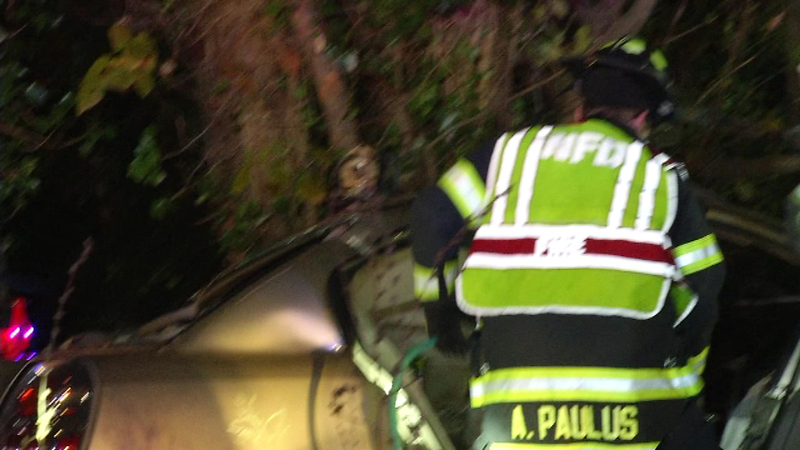 Rescue crews arrived to find the woman trapped in her Nissan Altima that was pressed against a tree. 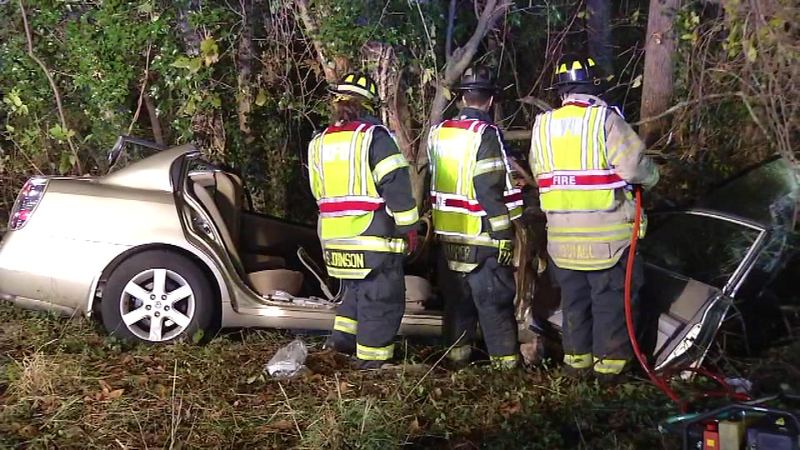 A woman is in critical condition after her car slammed into several trees in Newark, Delaware. It took them forty minutes to free her. 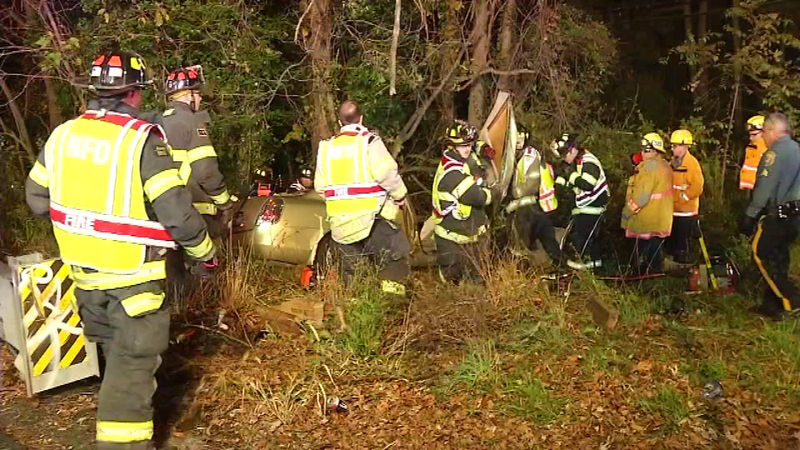 The victim was taken to Christiana Hospital for treatment. 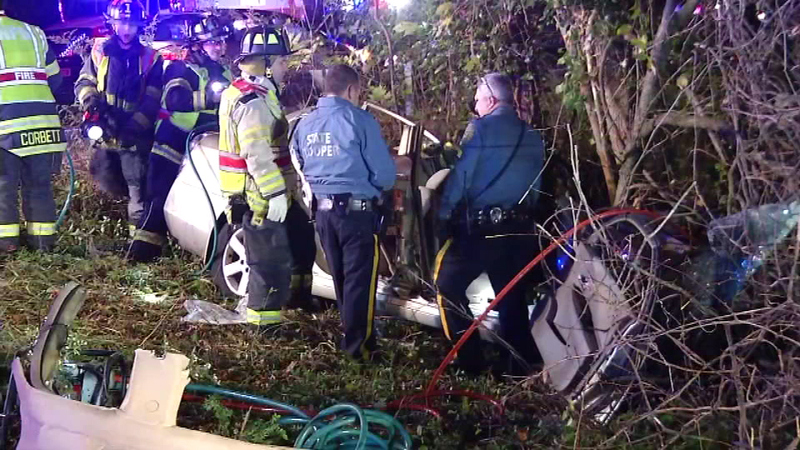 The intersection was closed while officers tried to determine the cause of the crash.